The Fiddlerman bows were created to outperform any bows in the same price range, satisfaction guaranteed! This bow is much better than any inexpensive Pernambuco violin bow! 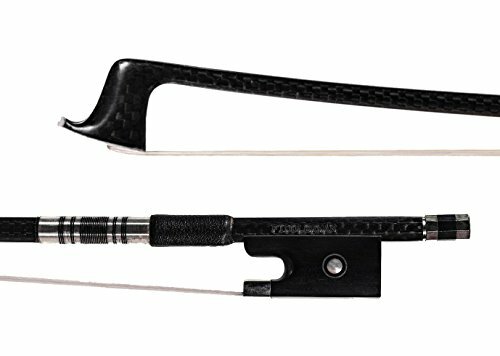 This Fiddlerman Carbon Fiber Weave Violin Bow is manufactured to replicate the perfect weight and curve of an expensive Pernambuco wood bow. Anything short of a quality wood bow will most likely not give you the right weight distribution or curve. This is the perfect violin bow upgrade if you have purchased any beginner or intermediate violin outfit. If you have any questions about this product by Fiddlerman, contact us by completing and submitting the form below. If you are looking for a specif part number, please include it with your message.